-- Select a Size -- 5/8"W - Out of Stock! 1"W - Out of Stock! 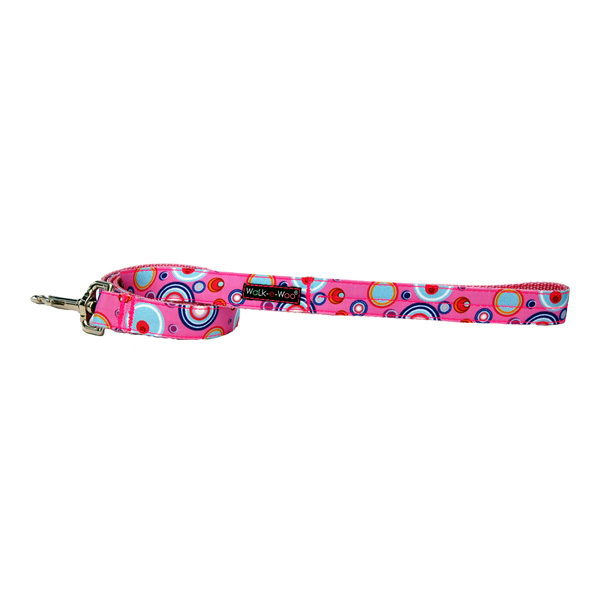 The Martini Dog Leash in Pink is part of the newest collection of dog collars and leashes from WaLk-e-Woo. Every leash is made by our neighbors right here in Colorado! 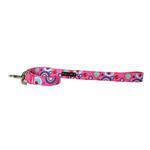 This leash for dogs features an exclusive design printed on super tough, fade-resistant, recycled poly/canvas. Each leash has extra-reinforced nylon stitching. Your fun-loving pup will drool all over this stylish leash! Look for the matching WaLk-e-Woo Martini Dog Collar (sold separately). Posted On 05/02/16 by Linda C from Riverside, RI Yes, Linda C recommends this product! Very pretty,sturdy well made perfect length!! !